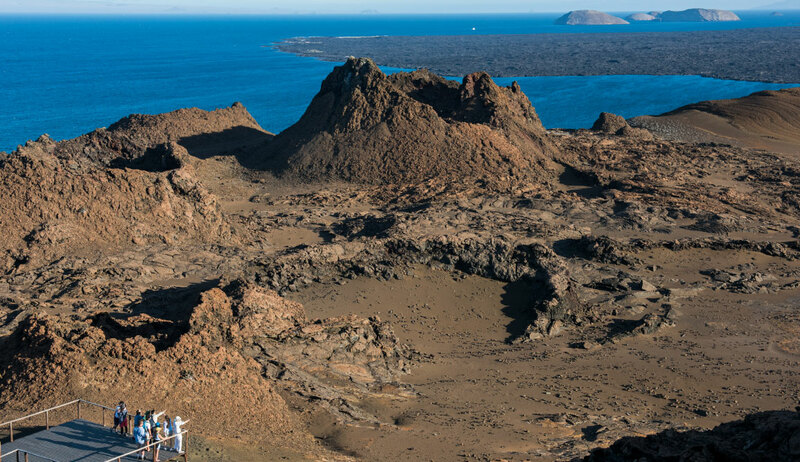 This small island is located on the centre of the archipelago, and on a clear day, more than ten islands can be spotted from the top of the viewpoint. 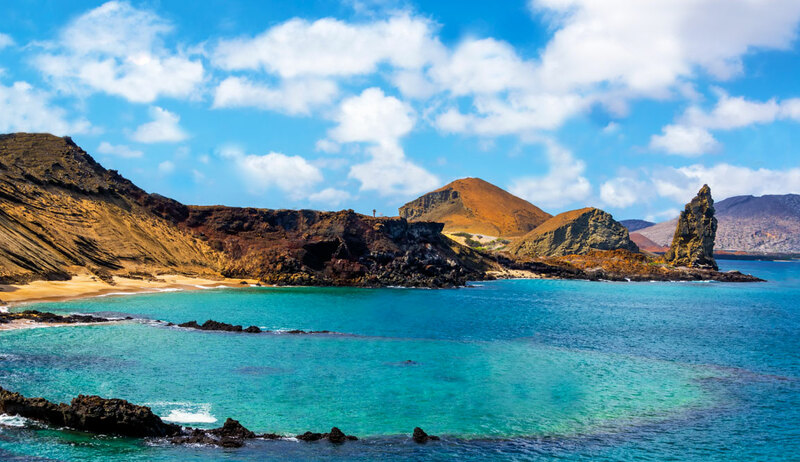 The diversity and richness of this island is related to the Upwelling Phenomenon, very cold water surrounds the shore and provides food for many marine species.  It is an unpopulated island. The Pinnacle Rock, formed by an eroded toba cone, is the most emblematic formation of the archipelago. On its base, a small colony of Penguins cohabit with Sea Lions and Marine Birds. 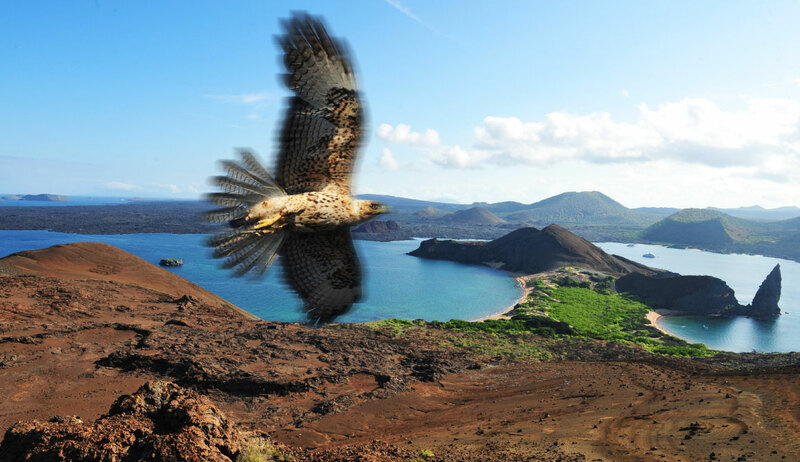 On the visit site of the beach, one can observe juvenile sharks swimming along the shore line, and sometimes on the surroundings, a hawk domains the air. 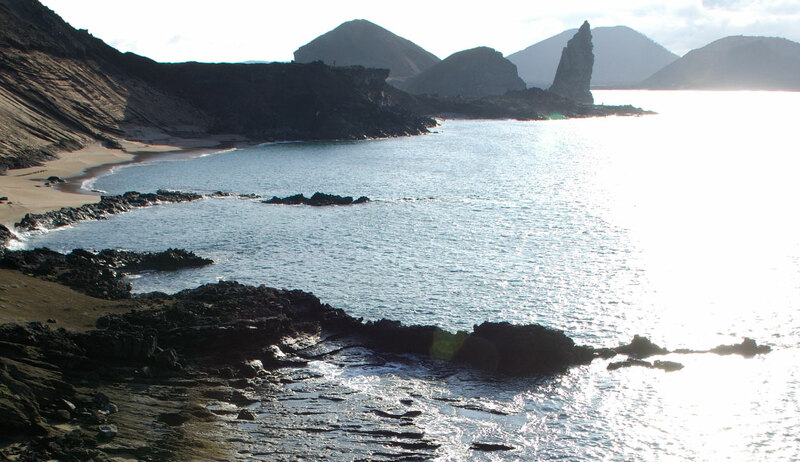 Great snorkeling opportunities with penguins and sea lions off a golden-sand beach at the foot of popular Pinnacle Rock. 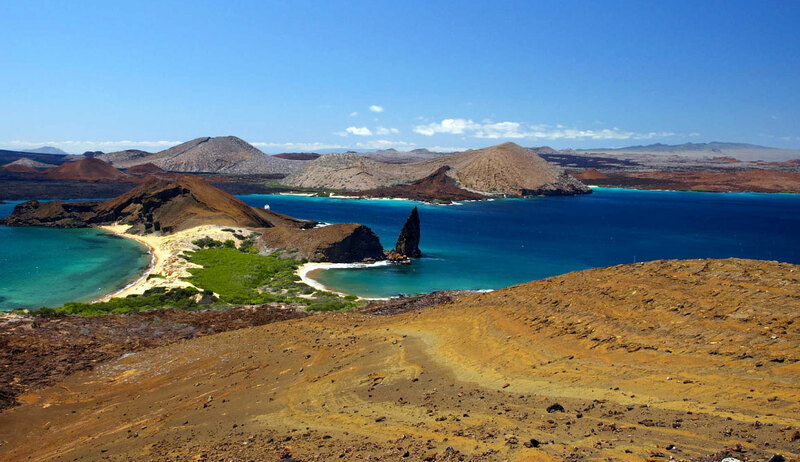 Located at the center of the archipelago, Bartolome is one of the most frequently visited sites of all the islands. The highest point is only 374 ft (114 m) above sea level and it is separated from the island of Santiago by Sullivan Bay. 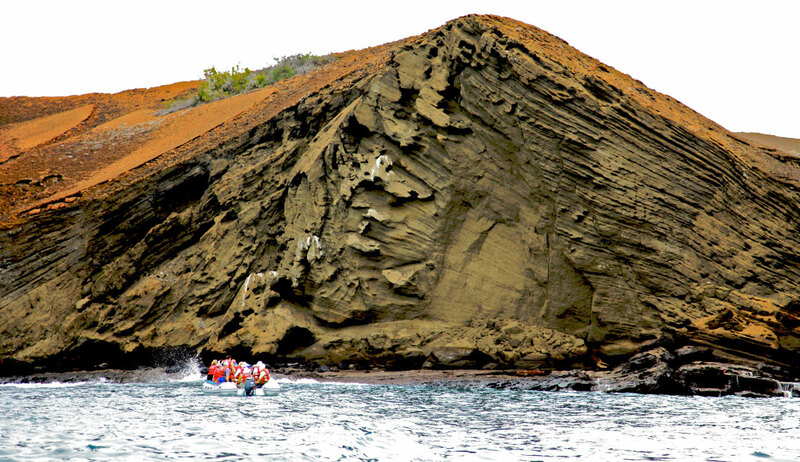 The island has a surface area of 0.74 mi (1.2 km) It is an excellent site for snorkeling, filled with the breathtaking volcanic landscapes that make this corner of the world so unique. We have two landing possibilities: a dock and a beach. 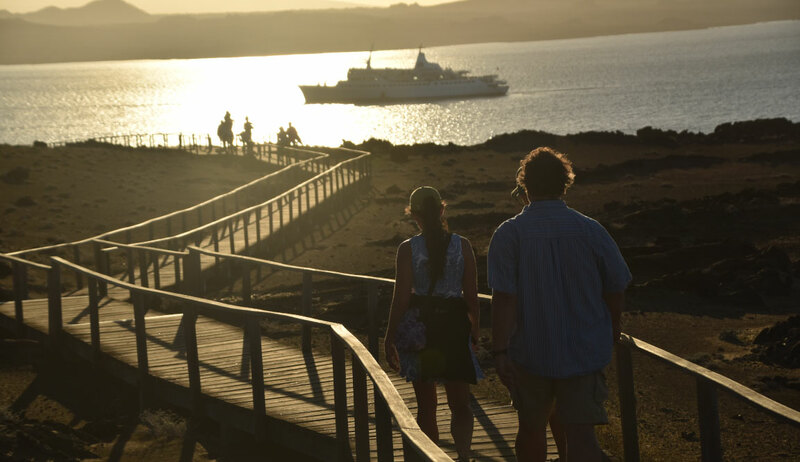 The dock, made out of lava and concrete, soon turns into a wooden staircase built to avoid erosion and consists of 372 steps. 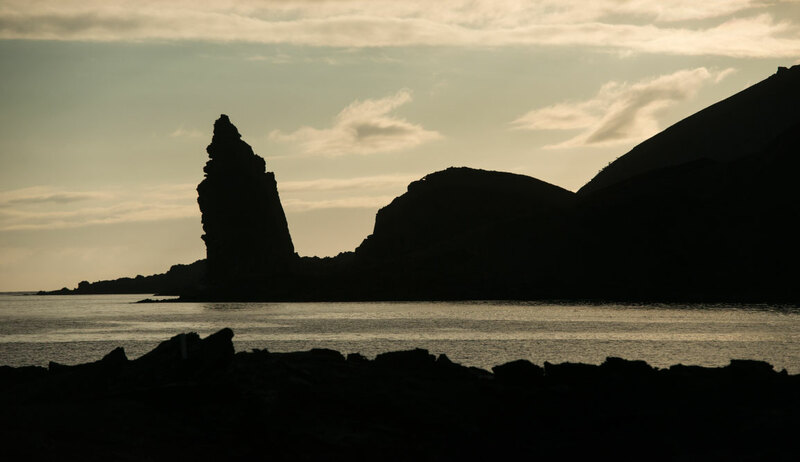 It takes us to the island’s summit, where we find what probably constitutes the most photographed site in the Galapagos: Pinnacle Rock. Due to its altitude, the lack of vegetation is immediately noticeable. Pioneer plants are observed, they are called this way because they are the first to establish roots on new ground. 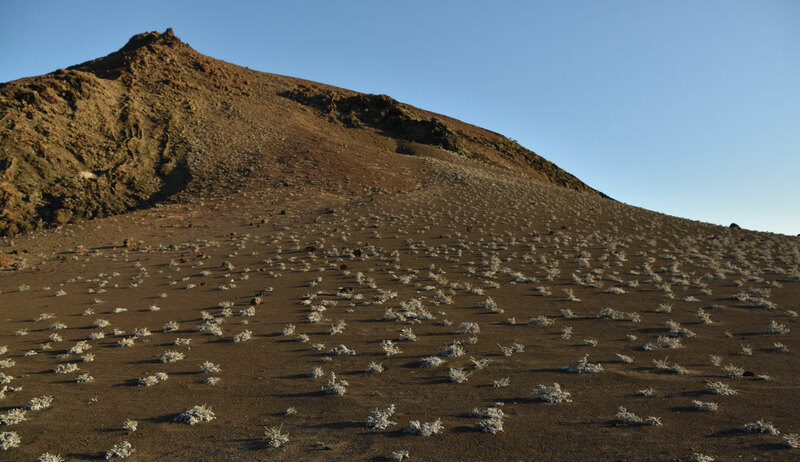 They include Tiquilia nesiotica (which is endemic to the island) and Chamaesyce (known as sand mat or spurge in English), lava cactus, and Scalesia bushes. Behind the beach, we have the dunes covered by mangroves. 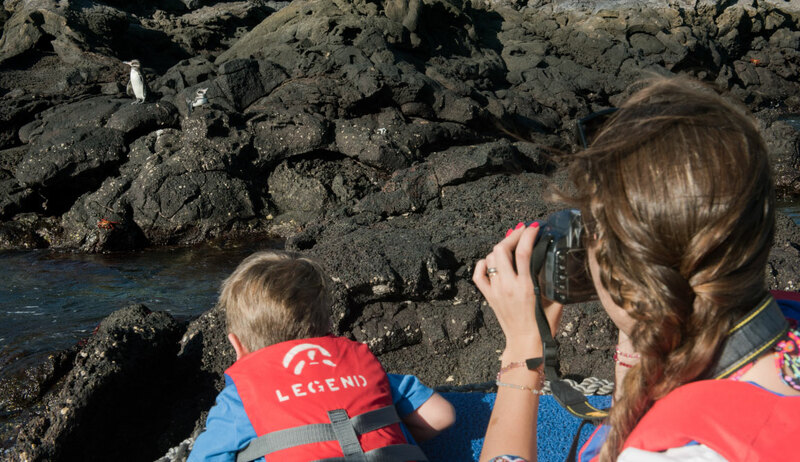 The coralline beach next to Pinnacle Rock is a wet landing site from which we are able to snorkel amongst tropical fish and perhaps sea lions and penguins; they rest on the lava of the intertidal zone and sometimes decide to take a dip. Disembarking: Landing 1): Dry, to trek up Summit Trail. Landing 2): Wet, to visit Bartolome Beach. Type of terrain: Sandy volcanic ash trail and 372 step in a wooden stairway. Duration: 1:30 hour hike, 1 hour beach time, swimming or snorkeling. Highlights: We will travel back in time to the formation of lava tubes, spatter cones and the remains of two types of hardened lava: AA and pahoehoe. Beautiful and breathtaking landscapes as you climb up Summit Trail. During the ascent, visitors will see Tiquilia and various cactus species, which add to the unique experience. The tall, leaning spike known as Pinnacle Rock is always something to behold. 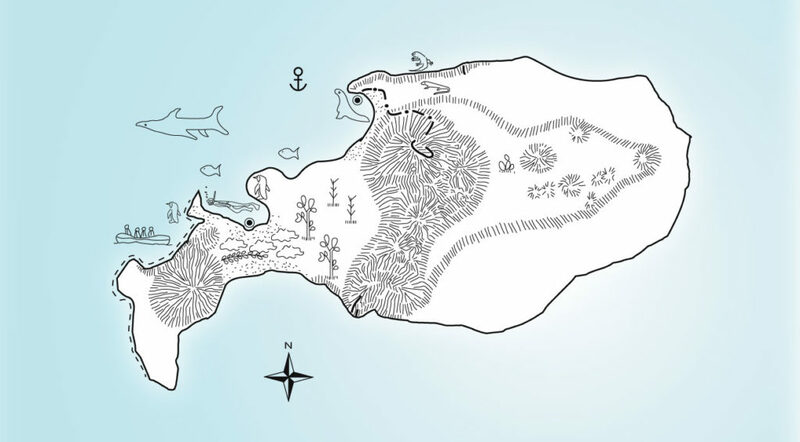 For many visitors, this may turn out to be the best of snorkeling experiences. 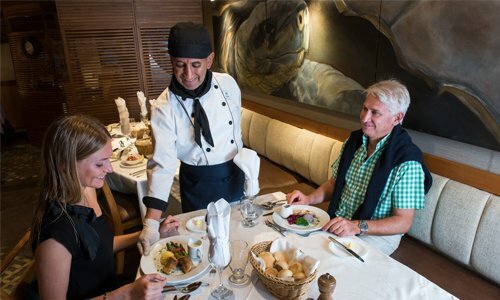 There is a possibility to swim with zigzagging penguins that are chasing small schools of fish or see them sitting on the rocks during your dinghy ride.